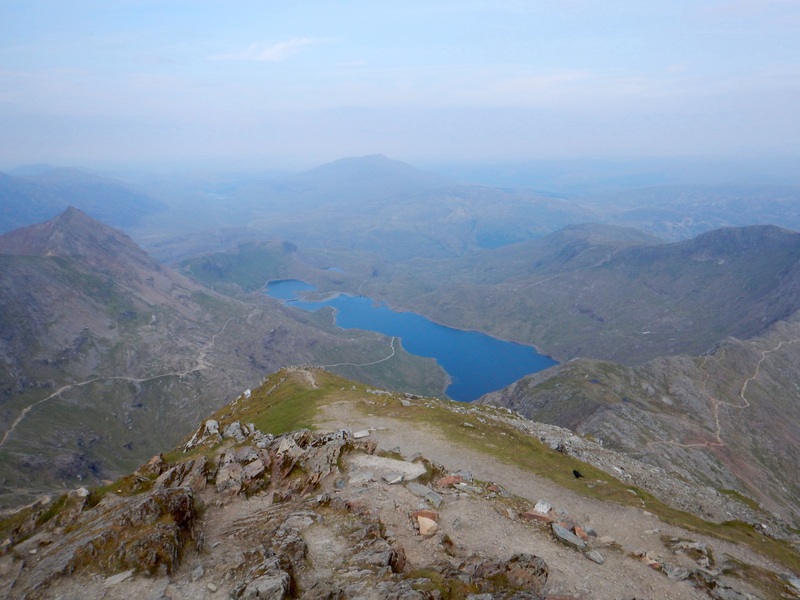 Located in the beautiful national park of Snowdonia, Snowdon Mountain sits at 1,085m (3,560ft). 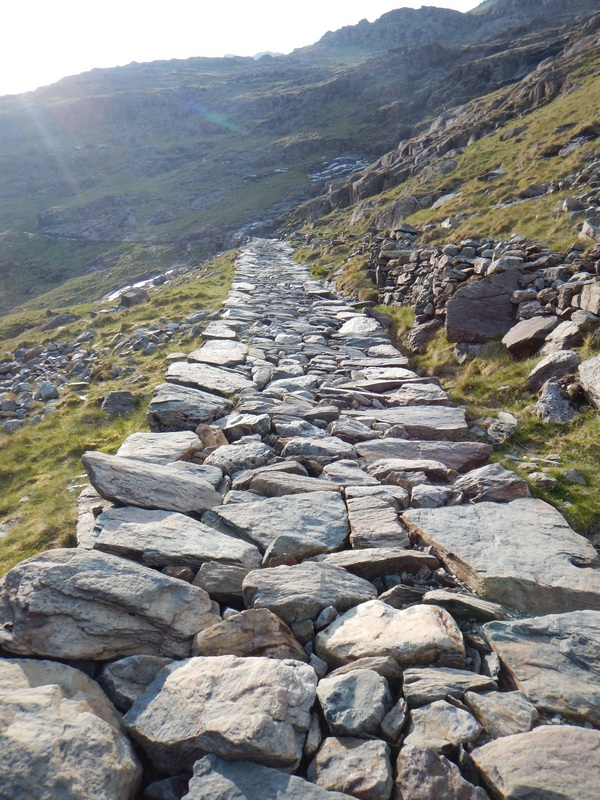 There are several different routes that lead to the summit and I chose the paths leaving from Pen-y-pass. 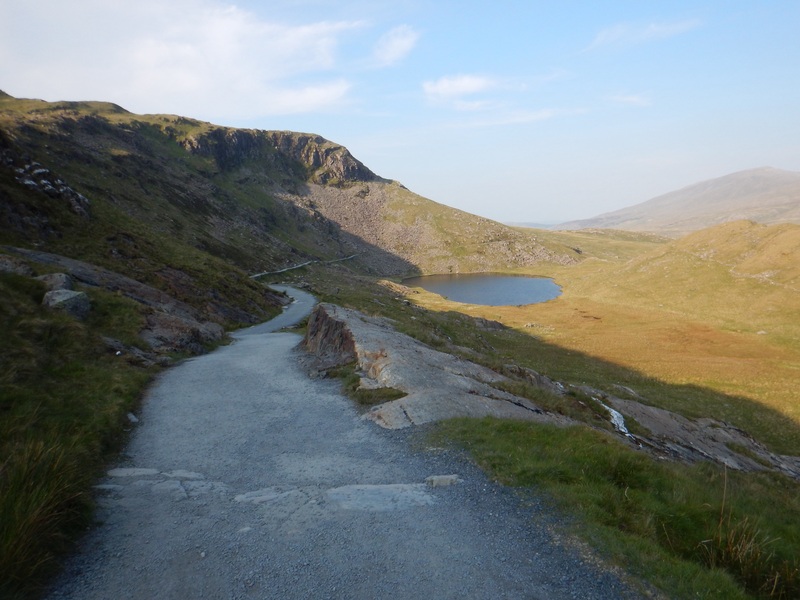 At the parking lot here, there are two different routes to choose from, either the Miners Path (8mi round trip) or Pyg track (7mi round trip). 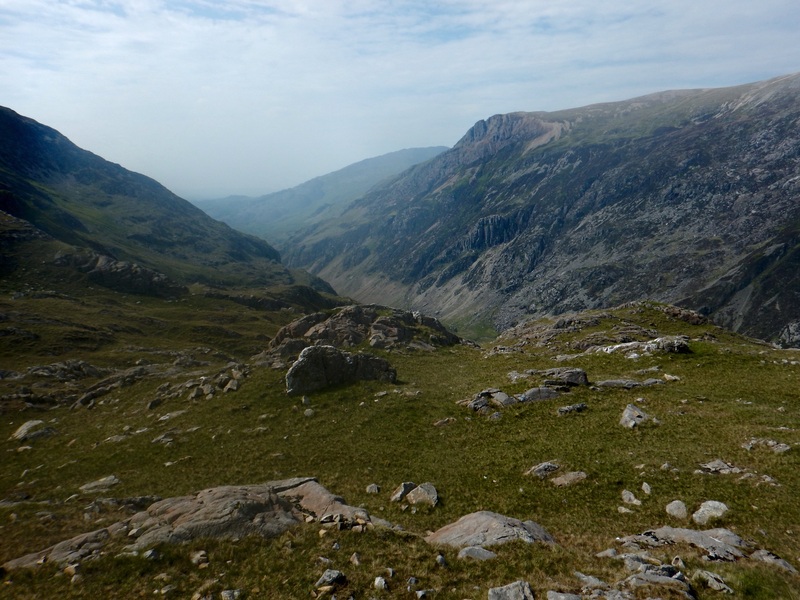 I decided to head up Pyg Track and down Miners Path. Leaving the parking lot, the ascent started right away over uneven ‘bouldery’ ground. It was a bit of rough going with large steps and not much of a view. Before long however, the scenery opened up. To the right you can see the rocky landscape and the surrounding mountain while to the left, down below, is the Miners Path and a gorgeous view of the water. 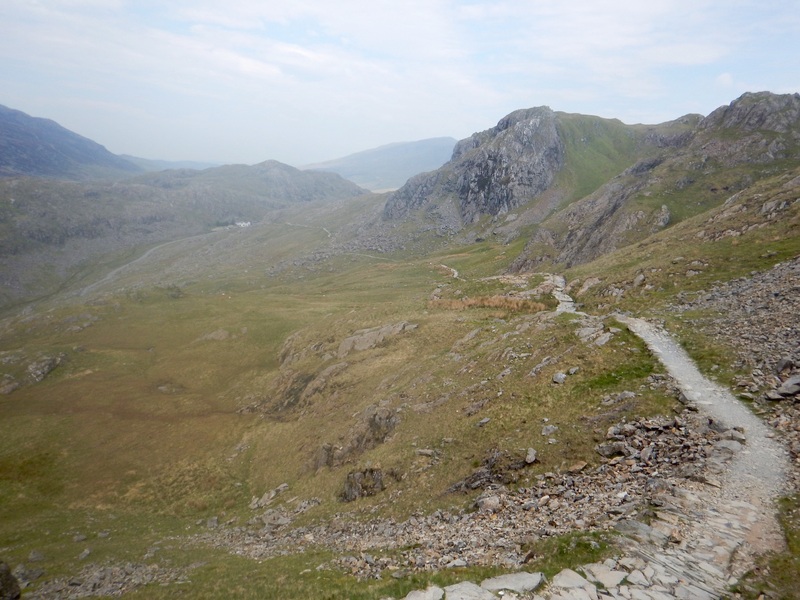 The Pyg Track stays high and has a consistent climb all the way to the peak. 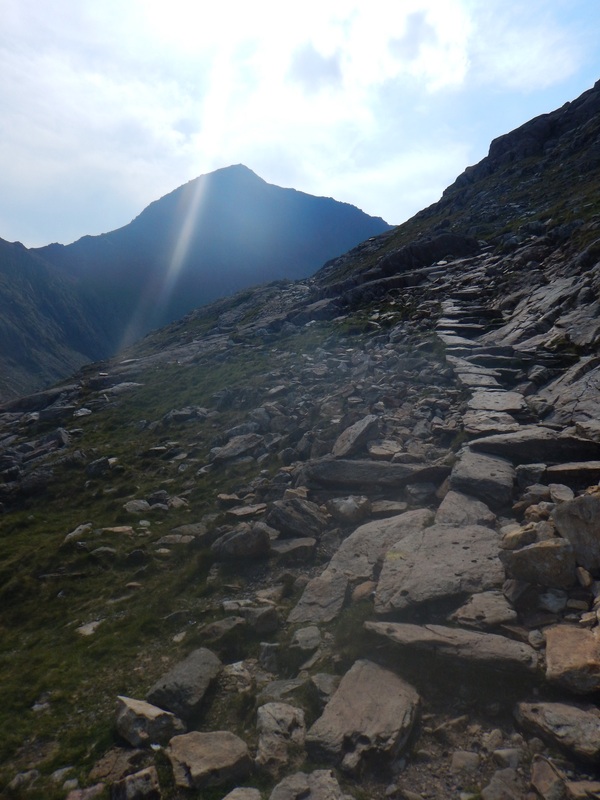 Just as the switch backs hit, the Miners Path connects up with the Pyg Track for the final ascent to the summit. Making it to the saddle, with not much more climbing left before the peak, something caught my eye. Moving slowly, it was a tram car! 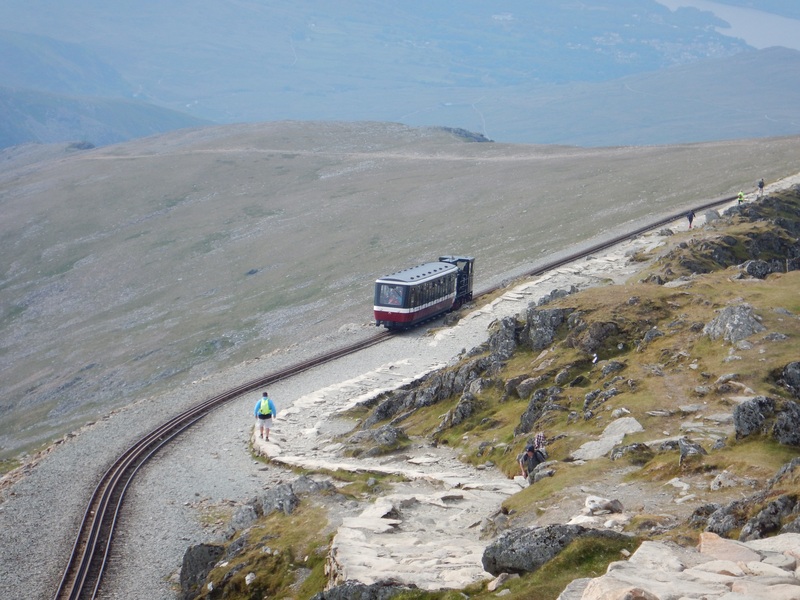 For people who don’t want to hike to the summit of the tallest mountain in Wales, there is a tram that goes to the peak. I thought this was a bit ridiculous and defeats some of the purpose of hiking to get away and go places vehicles and normal transportation can’t go. 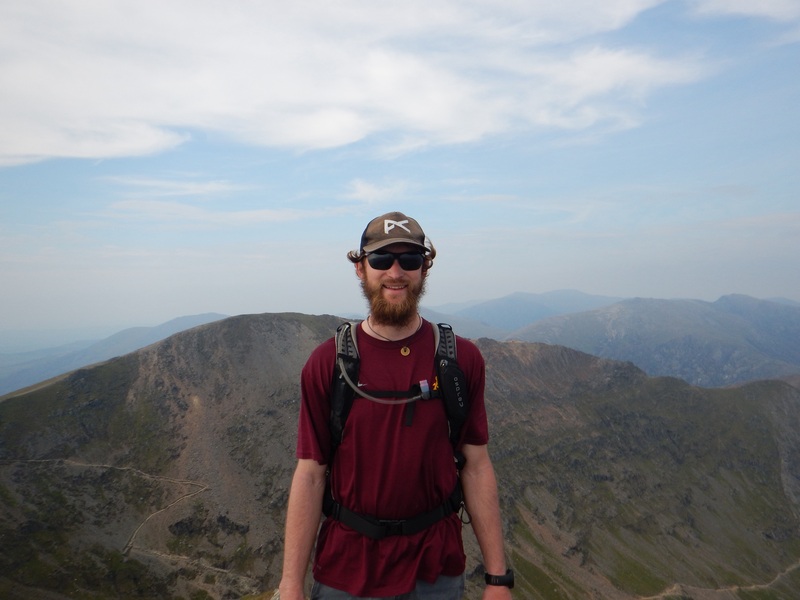 At the summit, the views were great with a full 360 degree view of the surrounding landscape. Definitely worth the hike to the top! Descending along the Miners Path, it was quick and steep going down with some loose rocks. Before long it flattened out into a nice smooth and wide trail going along the water. Coming back this way was a good choice and much easier on the knees. 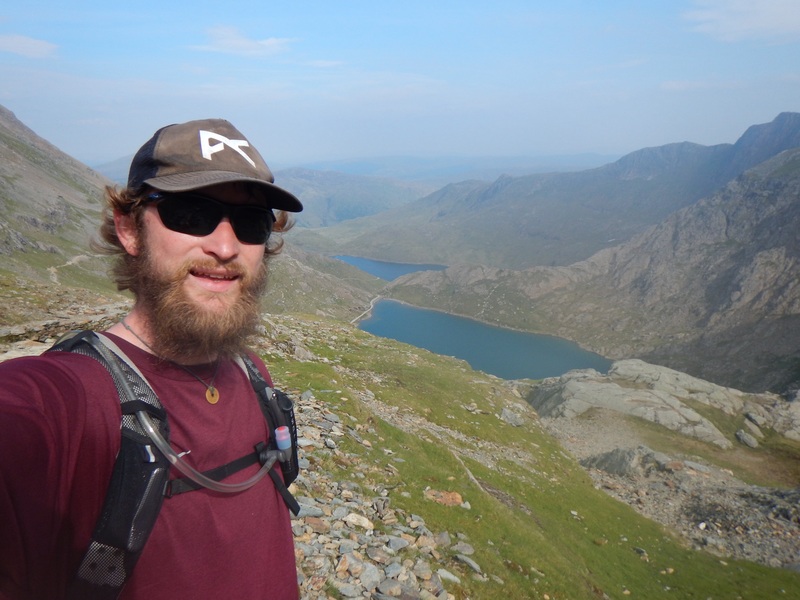 I enjoyed hiking Snowdon, the tallest mountain in Wales. Taking the route I decided was the best of both worlds with the ascent being a steady climb and the descent quick and leveling out onto a good path. 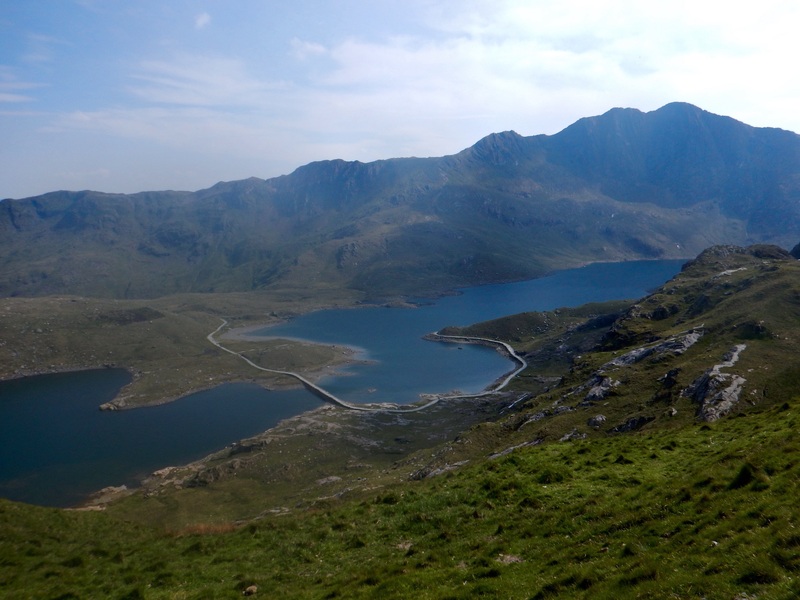 It was a nice clear day making the views that Snowdonia had to offer unbelievable. In total the hike was 3 hours, 1 hour 45 min up and 1 hour 15 minutes down. Gorgeous view at the summit. Guess you have to be there! Yes the views at the summit were really nice but my camera was having trouble capturing some good pictures as well. Nothing like sitting on top of a mountain.